MPX is the app run by United that allows you to buy gift cards to some retailers and earn United miles on top of the credit card points from your regular credit card. Until now, I've often used it for Amazon (2 United Miles) and Toys R US (3 United Miles) gift cards. In addition, if you have a United credit card, you will earn an additional 25%. That means 2.5 UA miles for Amazon and 3.75 UA miles for TRU. You don't actually need to pay with the United credit card to earn the additional miles. 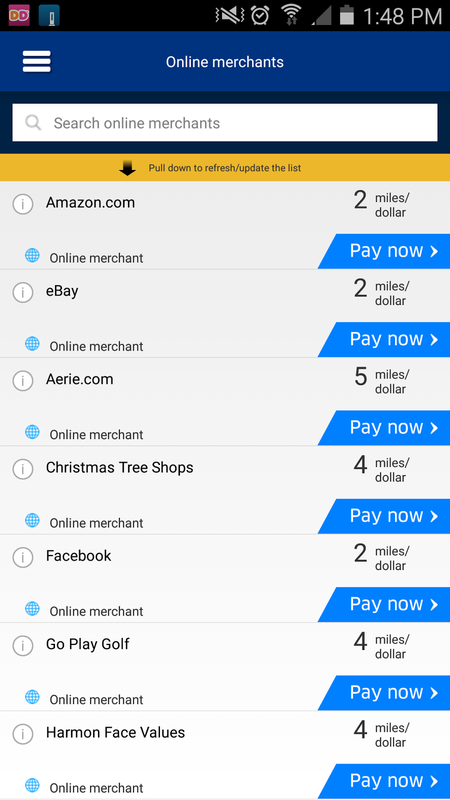 I was buying an Amazon gift card today and I noticed that MPX has now added eBay to the list of online retailers at 2 UA miles per dollar (2.5 with the United credit card). Unfortunately, you can only buy them in $100 denominations. Sure, there are other ways to buy eBay gift cards that might be better, especially if you have a Chase Ink but not everyone has that and even if you have one you may already have maxed it. Always good to have more options.